Getting to number one on Google is the Holy Grail of digital marketing. And for very good reasons. A good SERP ranking can have a real impact on your physical therapy clinic. It can increase traffic to your websites, dramatically increasing your chances of bringing in new patients and keeping your practice afloat. The question now is: what can you do to improve your website’s ranking? It’s a heated discussion with no straight or easy answers. For some marketers, it’s more of a guessing game where they try to figure out the criteria on which search engines base their decision to classify websites. Is it website security? Is it speed and mobile accessibility? Is it all of them? It’s understandable why there’s so much confusion around this topic. After all, Google never shared the formula behind its algorithm, so it can be difficult to find the perfect combination of methods that’ll boost your website to a top position. But that’s not the point, either. There are no magical solutions, though there are some verified strategies that you can implement to improve your website rankings and possibly get more people to schedule an appointment with your PT clinic. And they all have to do with enhancing the user experience of your website. This is a very long and complicated discussion, but here’s a quick rundown. Search engines use bots, also known as “web crawlers” that search the internet, looking for and retrieving information. When a user types in the keywords “dog food,” for example, the crawlers spread around looking for pages with content related to that query and bring back the pages in the form of an index. The index is based on an algorithm, and each search engine has a unique one, but they all look at the same thing when deciding how to rank a page: the quality of the user experience provided. It’s your job to make sure your website is readable for web crawlers, and offer a great experience to your patients. It should come as no surprise that content still is essential to search engines, and there are no signs that things are going to change anytime soon. Without quality content on your website, it’s like trying to sail a small boat with no paddles; you’re not in control and can’t steer it in the right direction. Even the question of “what is quality content?” can spark some debate, but the gist of it is this: content that’s valuable to your patients, and easy to understand. The last part is quite important, especially in your niche, as not all of your potential patients are familiar with medical jargon as you are. Search engines reward websites that offer quality content to their users, because it means that the sites give them the chance to find the information they’re looking for and solve their problems. And, Google is all about giving users what they want, and if your website fits that box, then they’ll give you a better ranking. Search intent refers to what users are looking to obtain from a certain query. Is their intention to gain more information? Is it navigational? Or are they looking to buy or get some services? In your case, it’s a coin flip between informational and acquiring intent. Potential patients will either look up physical therapy clinics or look for medical information on a particular topic. You’ll need to offer content that answers both search intent queries to address their purpose. Keywords might not be that big for search engine rankings anymore, but they can still do a lot for content. With keyword research, you single out those phrases and terms that prospects use when looking for a specific topic. Then, you can use these keywords to craft content around them. In a way, it’s like knowing what people are interested in (because of the keywords) and then offering a page where they can find that information. We can’t talk about the top ranking signals of 2018 without mentioning voice search. More and more users are switching from typing their queries in the search bar to voicing them into their phones. Digital assistants like Siri, Alexa, or OK Google have changed the game of search engine rankings because now marketers have to think not only about what a prospective buyer would type when looking for a topic, but also how they would say it out loud. For instance, a person looking for a PT clinic near them would go on Google and type “PT clinic Florida,” hit enter and look at the results. However, if they’re using a digital assistant, they’ll typically pose the entire question like “Where can I find PT clinics in Florida?” Your job is to optimize the content to make sure these digital assistants understand what it is about and return your page to users. Pictures are a great way to break the flow of text and give readers a pause while they look at something. But while your patients will appreciate a beautiful, high-quality image, search engine crawlers tend to ignore them. ● DON’T skip the alt tag and let search engines know what the image is about and how is relevant to the content. The point here is: if you want to add an image to an article, hitting the upload button it’s not enough. Your content is great, and your pictures are optimized. Now it’s time to build some relevant and authoritative backlinks! It works something like this: if you associate your PT clinic’s website with other trustworthy sites from your industry via a backlink, it automatically makes you look trustworthy too. It also creates another road for crawlers to get back to your site. Social media is one way to create good backlinks, particularly because the element of “sharing” is definitive around those parts of the web. However, because you are a specialized practice, the most valuable backlinks may come from other websites in the medical niche. For instance, since you’re already publishing content about specific health issues, you can also write for other online journals that routinely get high traffic. If you also link your website to them, that’s a valuable and authoritative backlink. If your website isn’t currently optimized for mobile, you can pretty much kiss your wishes of a good rank goodbye. Roughly 40% of your potential patients could go to a competing PT clinic if they’ve had a bad mobile experience with your site. Mobile shouldn’t be an afterthought, but a priority. Search engines value websites that are mobile-friendly and quick to load on these devices. 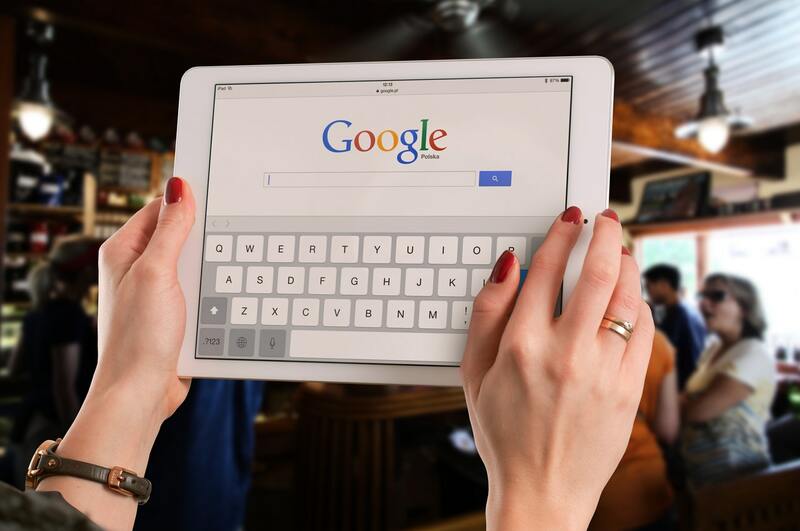 Google announced that they are moving to mobile-first indexing since a lot of their users use these devices as a primary means for navigation. So it only makes sense to prioritize mobile in their indexing process. If your PT clinic’s website doesn’t have a mobile version or isn’t responsive, then you have a bit of catching up to do. It’s not optional; you have to get on board if you want to stay on Google’s good graces. Other elements have to do with your website’s technical performance, as well, and you need to address them if you want to optimize your site and improve your ranking. These elements have to to with website speed, and website security, two things that search engines value a lot. Internet users aren’t exactly the most patient people on Earth. They want information, and they want it fast. Research shows that roughly 53% of people will abandon a page if it doesn’t load in less than 3 seconds. How does yours hold up to this test? Search engines love a website that’s secure and doesn’t put their users in any threat. So another thing they’ll consider for ranking is whether the site is encrypted or not. You can tell easily if a platform is encrypted by looking at the URL of a page and find the extra S after the “HTTP” part (HTTPS.) This extra letter informs both crawlers and users that the website in question offers a secure connection, so hackers cannot track it or steal their information. That’s very important to your patients, particularly if they share medical information with you through your platform. Another way to help search engines interpret your content is through schema markup, a type of structured data you can add to your PT clinic’s website. It’s one of those things that take place behind the curtain, but it certainly can have great effects on your click-through rates. Plus, anything that can offer you a competitive edge is definitely worth your time. Improving your website ranking can be instrumental in promoting your PT clinic and getting more patients through the door, but the only way to do it is through hard work on your site and the online experience you offer to your prospects. And with the high-competition in the healthcare business, a first-page rank is an edge everyone needs. So get started ASAP!